PEN International condemns the ongoing arbitrary detention of blogger Raif Badawi, currently serving a 10-year sentence in Saudi Arabia. PEN is also deeply concerned that the Saudi government will continue the lashing punishment against Badawi, who received his first 50 of 1,000 lashes on 9 January, 2015. After his first flogging, Badawi’s remaining 950 lashes were postponed indefinitely on medical grounds. PEN International calls on the Saudi Arabian authorities to abandon any intention to carry out the remainder of his 1,000-lash sentence as it violates its obligations under the Convention against Torture and Other Cruel, Inhuman or Degrading Treatment or Punishment to which Saudi Arabia has been a state party since September 1997. PEN International continues to call for Badawi’s conviction to be overturned and for him to be released immediately and unconditionally. PEN also reiterates its call for the release of Badawi’s lawyer Waleed Abu al-Khair, who is serving a 15-year prison sentence in connection with his peaceful exercise of his right to freedom of expression. “The impact of Raef’s detention and flogging has been devastating for our family, as Raef has been in prison for five years. It is difficult and hard for my children, for me but especially for Raif himself. I would like to thank PEN members for your ongoing support, and we hope that you will continue your efforts until Raif is released. I am hopeful for the future, for changes we see happening in Saudi; I have faith that freedom is coming. I ask King Mohammed Bin Salman to please issue an order to liberate my husband. Please intervene in my husband’s case and allow my family to be together again” – Ensaf Haidar, wife of Raif Badawi. Calling on the Saudi Arabian authorities to halt immediately any plans to carry out Raif Badawi’s sentence of flogging. Urging them to ensure the full respect of its obligations under the Convention against Torture and Other Cruel, Inhuman or Degrading Treatment or Punishment. Calling on Saudi Arabia to ratify, without reservation, the International Covenant on Civil and Political Rights. 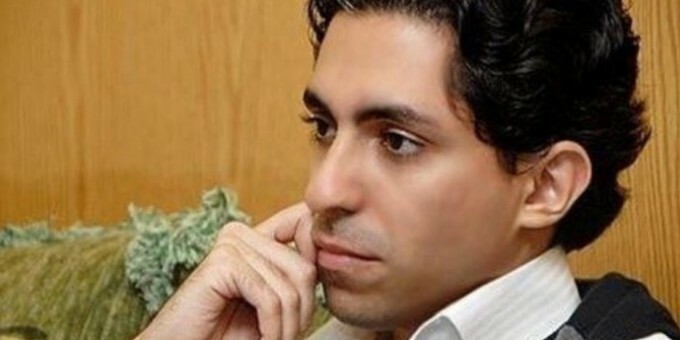 Raif Badawi was arrested on June 17, 2012 in Jeddah after organising a conference to mark a ‘day of liberalism’. The conference, which was to have taken place in Jeddah on May 7, 2012, was banned by the authorities. On July 29, 2013, a court in Jeddah sentenced Badawi to seven years and three months in prison and 600 lashes after he was convicted under the information technology law of “founding a liberal website,” “adopting liberal thought” and for “insulting Islam”. The online forum, Liberal Saudi Network – created to foster political and social debate in Saudi Arabia – was ordered closed by the judge. According to reports, the appeal, submitted by Badawi’s lawyer, Walid Abu al-Khair, cited procedural and evidential reasons why the conviction should be overturned and Badawi should be freed. In December 2013, it was reported that the Court of Appeal had reversed the ruling of the District Court in Jeddah, ordering that Badawi’s case be sent for review by another court. Badawi, who suffers from diabetes, is reported to be in poor health. On May 7, 2014, Jeddah’s Criminal Court sentenced Badawi to 10 years in prison, 1,000 lashes and a fine of 1 million Saudi riyals (approx. US$266,631) on charges of ‘insulting Islam’ and ‘founding a liberal website.’ According to PEN’s information, when Badawi appeared in court to collect a written account of the verdict on May 28, 2014 he discovered the insertion of two additional penalties: a 10-year travel ban and 10-year ban from participating in visual, electronic and written media, both to be applied following his release. For more information about his case, please read PEN’s interview with his wife Ensaf Haidar here. According to the Centre For Inquiry (CFI), in an article dated September 17, 2014, the Saudi appeals court in Mecca confirmed the sentence against Badawi, and ordered that the lashes should be administered 50 at the time, in public, every week after Friday Prayers. The first 50 lashes were given outside al-Jafali mosque in the port city of Jeddah on January 9, 2015. The following week, the authorities postponed further flogging sessions on medical grounds after a doctor said wounds from the previous lashing had not healed. On January 16, 2015, his wife Ensaf Haider, who lives in Canada with the couple’s three young children, said that King Abdullah had referred the case to the Supreme Court. 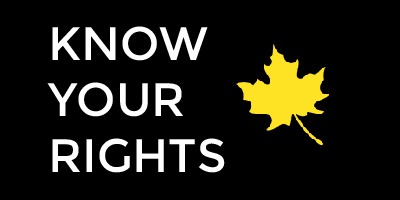 On October 18, 2016, The Raif Badawi Foundation released a statement in which they confirmed that they had received information that Raif Badawi’s flogging sentence was to continue. In contrast to the first round of punishment, which was performed in a public place, the next lashing was reportedly due to be carried out inside prison.